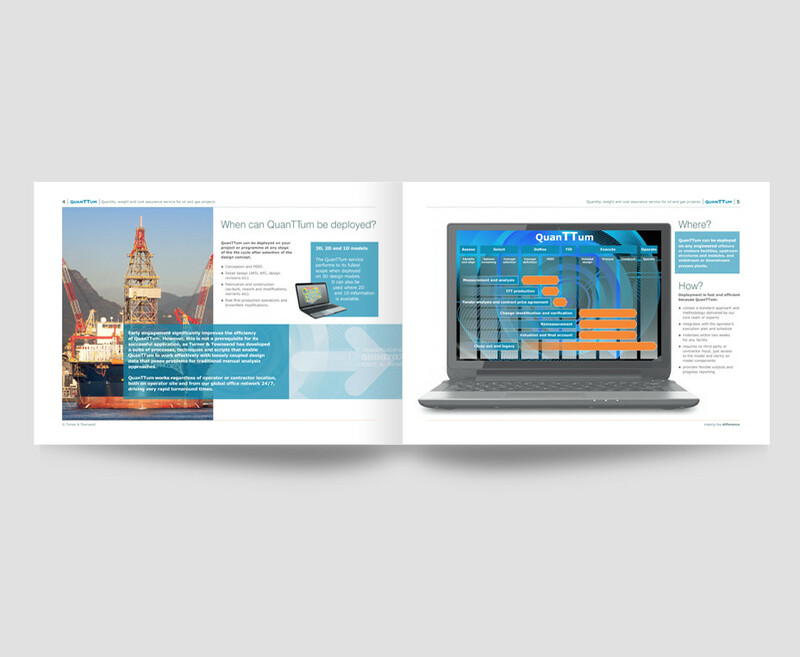 Turner & Townsend is a leading, independent, professional project services provider to the natural resources, infrastructure and property sectors, with a global footprint of more than 80 offices in 33 countries. 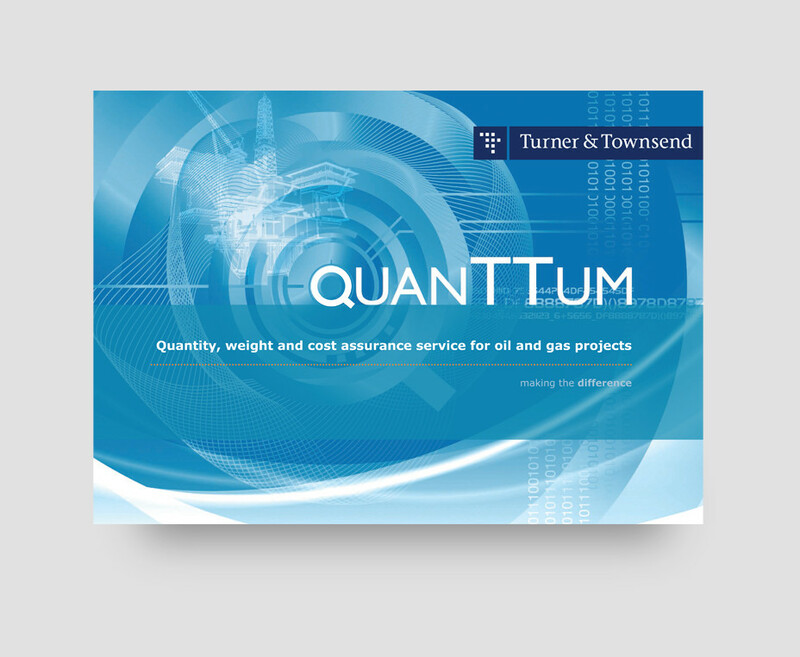 To provide a fast, consistent and accurate means of measuring and managing the quantity, weight and cost of engineered facilities – and the impact of design changes on that essential data at any stage during the project lifecycle, they developed an application called QuanTTum. 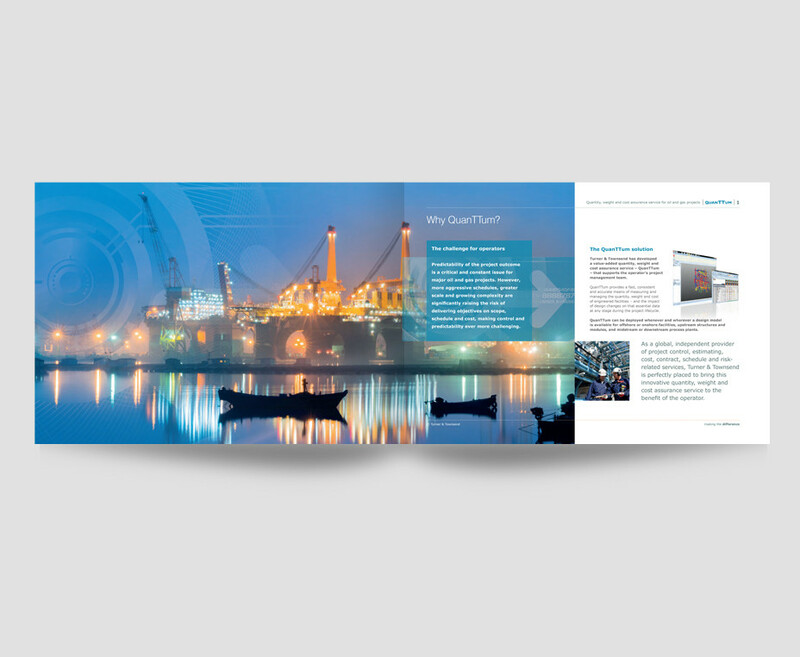 The brief was to produce a brochure promoting the service, in a visually compelling way. 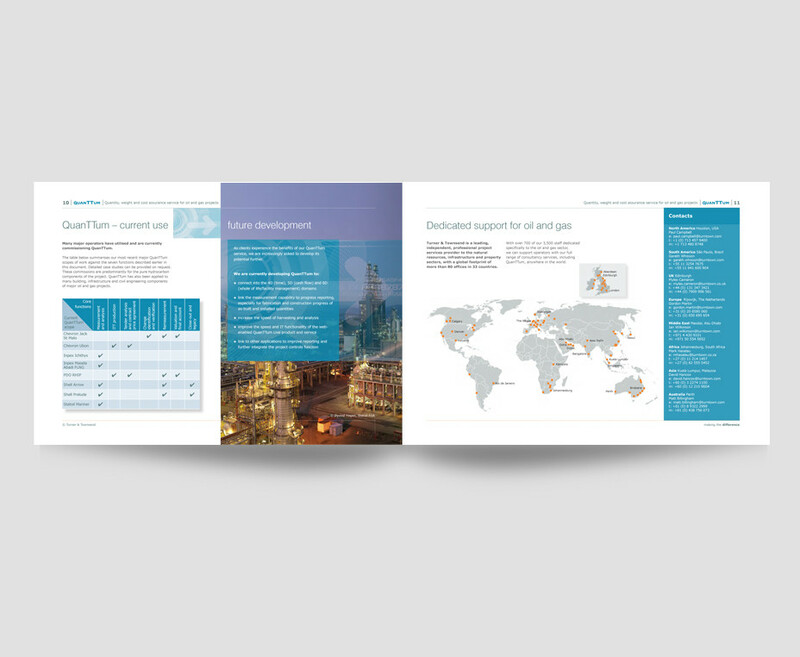 A landscape format was decided on as this was the best way to present the information in a linear form, which reflected the workflow of a project.